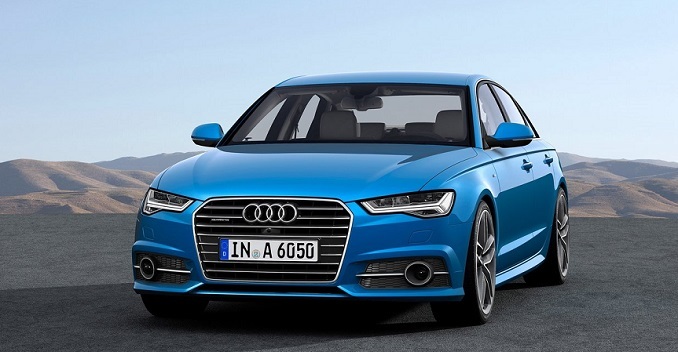 The 2015 Audi A6 facelift is all set to be launched on 20th of August in India. Unlike other launches,Audi A6 will be launched differently and is going to be all-digital launch by Audi in India. The new Audi A6 would be seen with few mechanical changes, the car would also receive several exterior as well as interior updates. Of all the changes to be given to the new Audi A6, the addition of Audi-A8/RS6 Avant inspired Matrix LED head-lamps stands out. Other than A6 getting the Matrix LED head-lamps, this facelifted car would also get Audi’s dynamic turn indicators, brand new bumpers, revamped grille as well as the new tail-lamps with LED. The car’s cabin too would get some minor updates in terms of seating and dashboard trims. As specified earlier, the all new 2015 Audi A6 would receive no mechanical changes as it would continue to feature the same 2.0-litre, 4-cylinder TFSI and TDI engines. Both the engines of A6 would be mated to a multitronic CVT gearbox which sends power to the front wheels of the car. With a wide range of features being offered, the 2015 Audi A6 range would to be much costlier than that of existing model which is priced between Rs. 44 lakh to Rs. 54 lakh (ex-showroom). Audi is trying to be more aggressive in the Indian auto industry – the company wishes to launch 10 new products in 2015 and Audi A6 could be regarded as one of the major launches in the sedan range. The Mercedes-Benz E-Class is the best seller in its segment and Audi would want to move ahead of the Mercedes-Benz as the new best seller in this segment. When we look at the last year’s sales figure, Audi emerges as the largest selling luxury car maker in India.